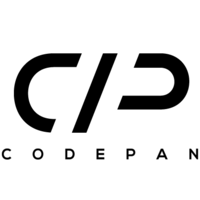 Codepan is a highly skilled & diverse technology team based in Berlin. We are currently developing our first product - Streem.ai. Streem.ai is seeking an experienced and motivated Data Scientist to help build and refine an automated, real-time anomaly detection tool. The person in this role will work closely within our team of 5+ data scientists and software engineers in a startup environment. You will conduct research, design competitive machine learning algorithms, evaluate them on real client data, and help build a scalable end-to-end solution that is capable of near real-time anomaly detection. Our ideal candidate thrives in a fast-paced startup environment, has a background in statistics, applied mathematics, or computational science and a history of solving difficult problems in a scientific environment. The candidate has experience in designing, applying and evaluating state-of-the art machine learning models and is comfortable with writing code in Python and working with large amounts of data. We offer the unique and rewarding opportunity of building a product from scratch in a young company. We work in flat hierarchies and reward creative thinkers and curious minds.